Over the course of time, I cannot help noticing that His Royal DIAOness' influence is evident at and on events, thanks to his music. 1. At the Golden Melody Awards in 2013, he was featured on a short vid showing the evolution of Mandopop, for which he was the final artiste spotlighted, to great cheers from the audience. He then sportingly acceded to host, Matilda Tao's request for him to go up on stage for an impromptu jam session and quite literally stole the show! 2. 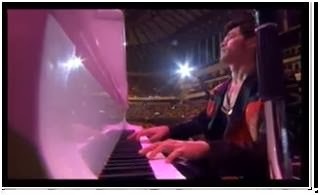 At the Golden Horse Awards in 2013, although his movie, The Rooftop did not receive any nominations and he was not present at the event, his music was still heard when Lang Lang played the Time Travel theme from Jay's Secret. 3. At the Sochi Winter Olympics in 2014, the music from Secret was heard once again when Australian Brooklee Han used excerpts from the score for her free skate programme, thus allowing a world audience to hear Jay's beautiful music, which to me, really stood out from the usual classical pieces and showtunes favoured by the skaters. Tornado by G.E.M. 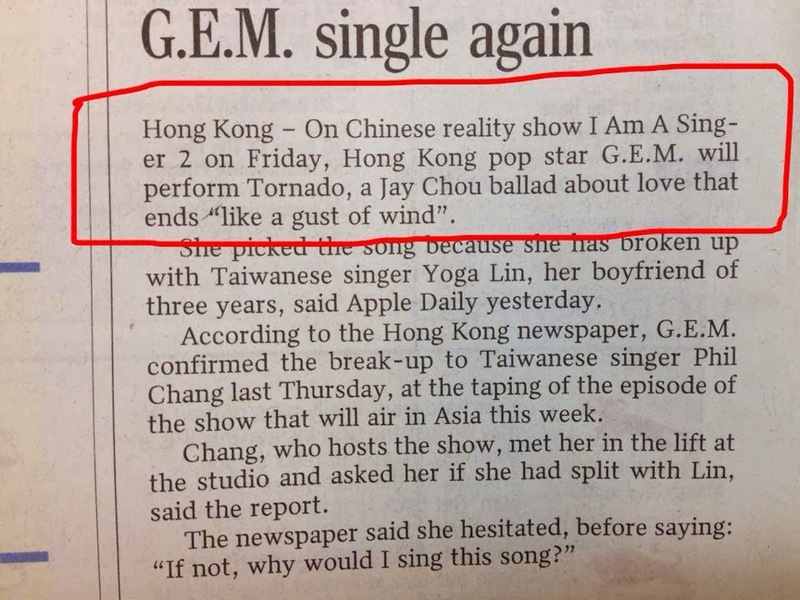 (from Hongkong)...featuring a passionate performance and rapping of lyrics from Silence! Being totally mad about Jay and his music, I think I am rather biased in that I always feel that nobody can sing his songs in the 'right' way. But I shall cut these ladies some slack as they should also put their own spin on Jay's songs and I applaud them on their choices. Jay's love ballads (next to his zhong guo feng) definitely rank way up there as some of his best works as the melodies are so strong and memorable. Yup, two whole hours of skating with a totally Jay Chou song list! When I dig out more examples, I shall add in to this post. 7. 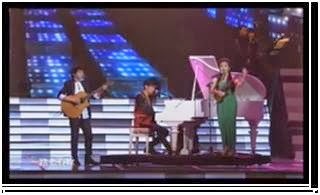 Watch this little girl dancing to Jody Chiang's Sound of Rain on another China talent show. Long story short, I am so happy and proud to be his mad fan!